The perfect gift for your father. 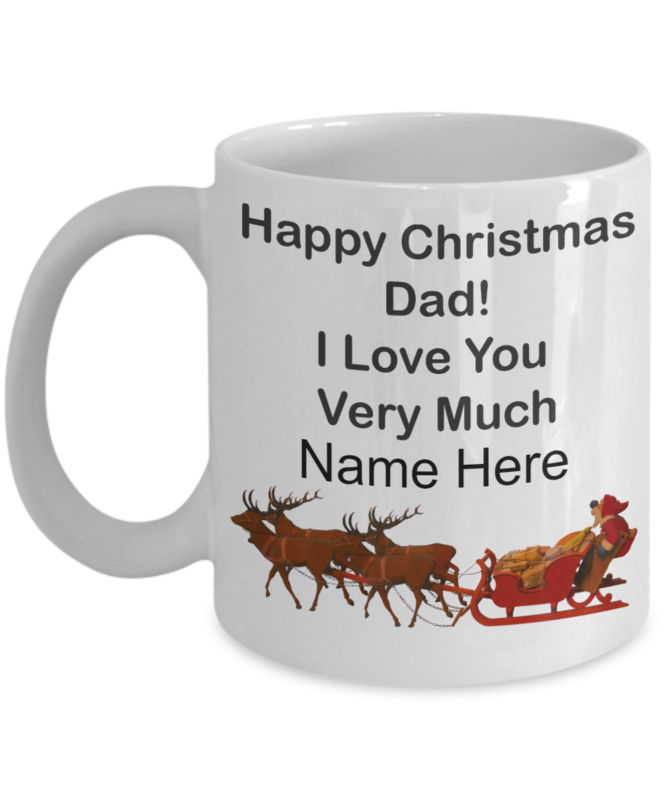 His own Christmas coffee mug personalized with your name. A gift to treasure all year round. 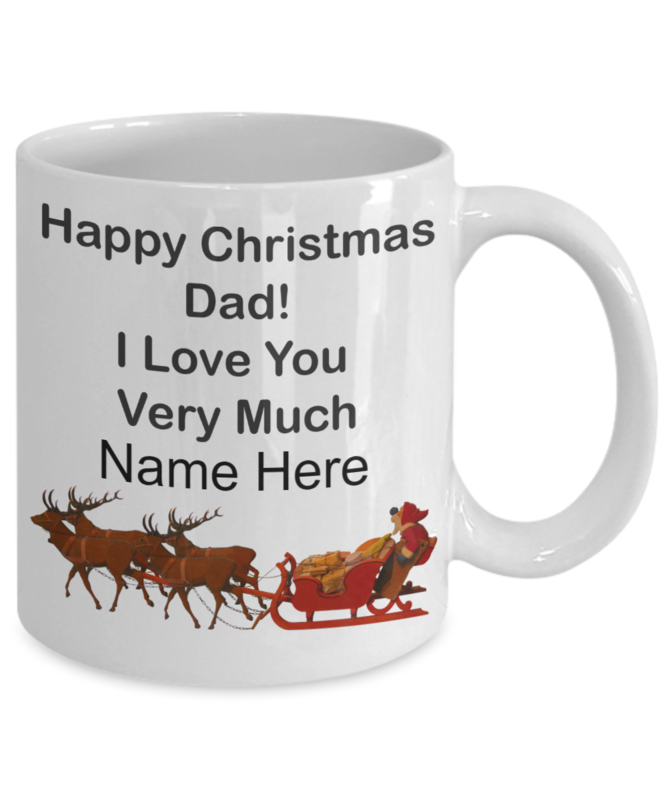 Put your name in the order form and this high quality mug will be printed with your name on it and be will be delivered in a few days direct to you.